It’s been a very active couple of days here in Boulder. Searching for a place to live has been a very good experience to learn more about the city. As always, it’s those moments between the tasks that often reveal the most insight, beauty and magic. I’ve snapped as many pictures as possible between finding addresses, meeting with the terrific Boulder Public Library staff and generally being awed and sizzed about coming to Colorado. I snapped the picture above yesterday afternoon. I jokingly said “this is my new backyard.” Then I realized that this statement is pretty much true. 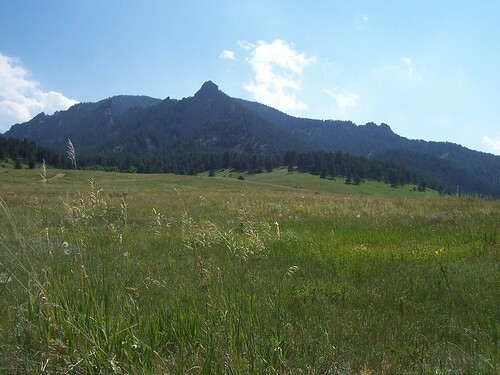 This is in Chautauqua Park looking up at the Flatiron Mountains–a reasonable walk right from Boulder’s Main Library!